Sydney, April 1, 2019 - Hitachi Australia Pty. 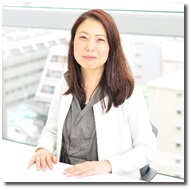 Ltd. today announced the appointment of Ms. Chie Mashima as Managing Director. Ms. Mashima succeeds Mr. Atsushi Konishi, who has served as Managing Director since April 3, 2017. Mr. Konishi will assume an advisory role for Hitachi, Ltd. in Japan, where he will continue to focus on the Oceania region. Both appointments are effective April 1, 2019. Ms. Mashima started her career at Hitachi in 1989 in the company's Sales Management Division. Most recently, she served as an Outside Director of Hitachi Industry & Control Solutions, Ltd., Hitachi Consulting Co., Ltd., and Hitachi Social Information Services, Ltd. During her 30-year career with the Hitachi Group, she has accumulated extensive experience in delivering information systems to local and national governments. Ms. Mashima will be the first female to represent Hitachi as a Managing Director for Hitachi Australia Pty. Ltd. In serving as Managing Director of Hitachi Australia Pty. Ltd, the regional headquarters of Hitachi Ltd., she will oversee all of Hitachi's activities in the region including and beyond its planned Social Innovation Business initiatives. "I am honoured to assume the position of Managing Director in Australia, to lead my team in resolving social and customers' issues and creating further values in key Australian industries, including mining, transportation, healthcare, public safety, and agriculture," said Ms. Mashima. "The opportunity to expand Hitachi's Social Innovation Business through co-creation with customers and partners in Australia, leveraging the company's vast and unique operational technology (OT) and information technology (IT) is enormous. It is a very exciting time for the company, particularly with the development of Western Sydney coupled with our efforts in the primary sector. I am also looking forward to working with Hitachi Australia's talented team," continued Ms. Mashima. Hitachi, Ltd. (TSE: 6501), headquartered in Tokyo, Japan, delivers innovations that answer society's challenges, combining its operational technology, information technology, and products/systems. The company's consolidated revenues for fiscal 2017 (ended March 31, 2018) totalled 9,368.6 billion yen ($88.4 billion). The Hitachi Group is an innovation partner for the IoT era, and it has approximately 307,000 employees worldwide. Through collaborative creation with customers, Hitachi is deploying Social Innovation Business using digital technologies in a broad range of sectors, including Power/Energy, Industry/Distribution/Water, Urban Development, and Finance/Social Infrastructure/Healthcare. For more information on Hitachi, please visit the company's website at http://www.hitachi.com. In order to read a PDF file, you need to have Adobe Acrobat Reader installed in your computer.